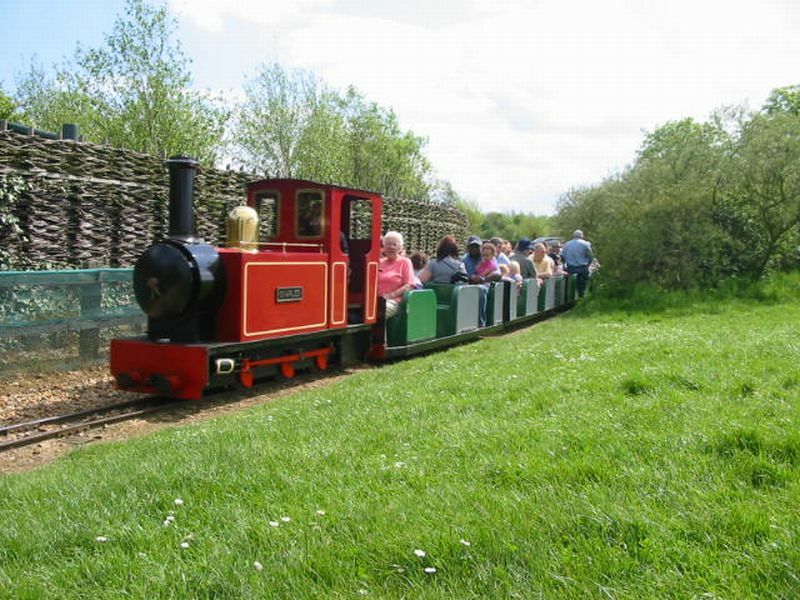 Ferry Meadows Railway was here at the start when Nene Park opened to the public in 1978, and is still offering a service to the visiting public all these years later. 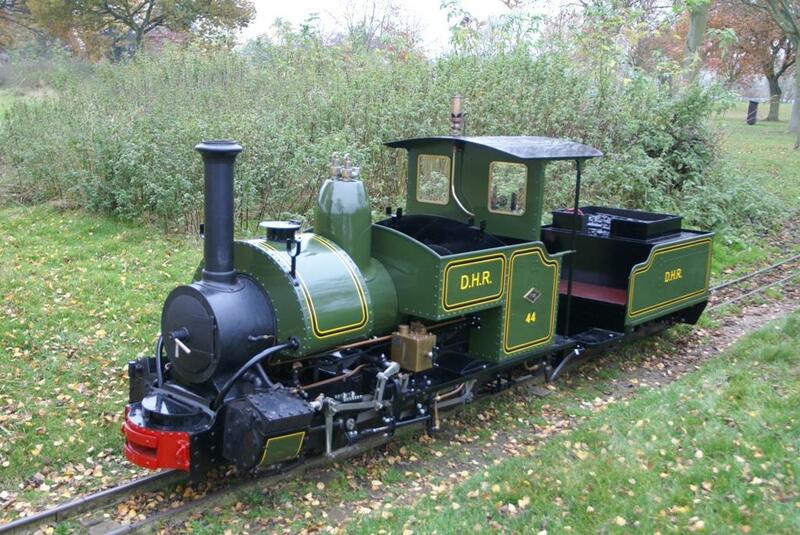 The track is about half a mile in length, and is on the popular ten and a quarter inch gauge, (10.1/4″). Since buying the railway we have replaced both platforms, this makes getting on and off the train a lot safer, we have also replaced both turntables, these now look 100% better and it has made life far easier for the drivers to turn the locos around, along with the platforms and turntables we have added new fences to both the top and bottom platforms, they now look a lot better, and last but not least we layed a new crossing between the engine shed and turntable. At the start of the 2010 season we purchased another locomotive, it is a Rio Grande style locomotive built in 1971 by Severn Lamb, it worked all of its life at Drayton Manor Park before being replaced by a two foot gauge setup in 2006, the locomotive will be in service as soon as we have constructed new beams for the turntables, this is to take the extra weight of the locomotive, you can see photo’s of it on our Gallery page. Over the winter of 2011/2012 we constructed a new 84 foot long coach store, this will allow us to store both sets of coaches under cover and out of the bad winter weather, at the same time we relaid all the track trough Ham Lane station and around the new shed, that track is now in use. 2012 became a very busy year for FMR, we finished the work on the new coach store and installed all the track work leading up to it, then in November we took delivery of a brand new steam locomotive, a Darjeeling style locomotive (you can find more information on the “News” page) towards the end of 2012 we built new beams for both turntables to enable us to turn the heavier locomotives, we can report that they both operate now like clockwork, a vast improvement and easier on our backs. In October 2012 we started work renovating the four coaches bought from Drayton Manor Park and the work is going on very nicely, we hope to have them working by late summer/autumn 2013. A little behind schedule the coaches went in to service just in time for our Halloween and Christmas events, they are a very welcome addition to the railway. 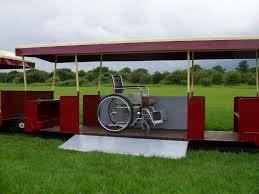 In January 2014 we started work on a new coach to carry wheelchairs, pushchairs and children’s cycles, it was put in to service on the 7 June and has been a great success, being very well received by all those who use it. In 2015 we are starting work building a two car tram, the plans are drawn up and some of the bits of the huge jigsaw have been purchased and stored, we estimate the build will take about 9-10 months. The bogies for both ends of the tram are now completed with brakes in place and painted ready to be used, the power car that goes in the middle is almost there with only a few things left to add to make it complete. As soon as the power car is finished we will start on the main car chassis, once they are built it will be testing time down the track, if that all goes well we will complete the super structure, again watch this space.